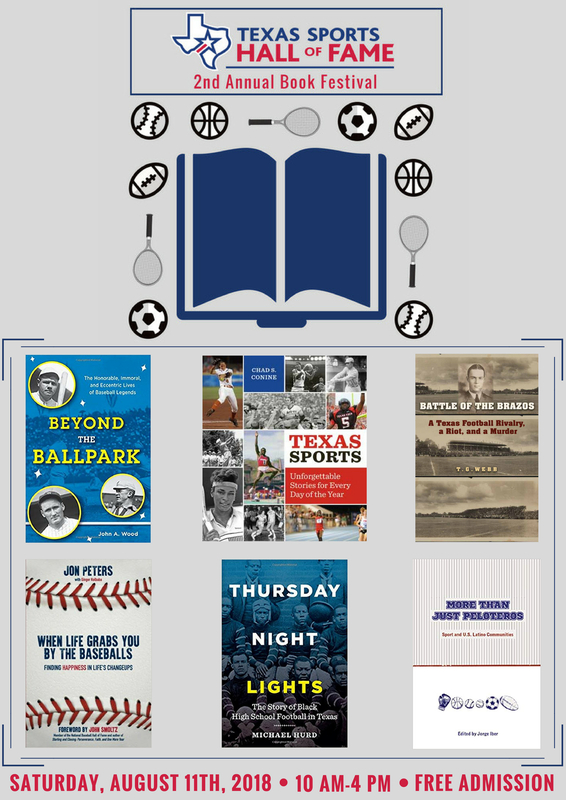 The Texas Sports Hall of Fame will hold the 2nd Annual Book Festival on August 11th from 10 AM- 4 PM. Presented by Waco City Cable Channel, the festival will feature authors and athletes from across the state. A limited number of VIP tickets are available, email jay.black@tshof.org to reserve. VIP ticket holders are entitled to preferred seating and signed book drawings. The format of the festival will be broken down into 1 hour slots, where each of the authors will have the option to present their work and have time for a Q&A session. There will be tables set up in the Red McCombs Great Hall where the authors will have book signings. The festival will be hosted at the Texas Sports Hall of Fame in Waco from 10 a.m. to 4 p.m. Admission is free.